There is a puzzling new craze slowly sweeping across the city testing the minds of Brisbanites everywhere and I, for one, am really excited by the idea. 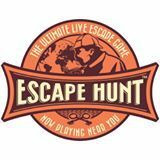 My experience was recently undertaken at Escape Hunt Brisbane, located in West End, one of the many similar establishments that have sneakily opened up over the last 12 months or so. There are several different themed rooms to choose from all with pre-determined scenarios and varying degrees of difficulty. The aim of the game is to find and solve all the clues that ultimately lead to escaping your room before the time runs out. We decided to go for an easier one for our first time, 'Murder in the Barbershop', reimagining ourselves as famous London detectives in the 1800's. After the host gives you and your team a quick briefing of the guidelines, you are shown into your room tasked with cracking the murder mystery whilst the time ticks down on a big screen overhead. It requires a lot of lateral thinking outside the square and thankfully they offer some helpful hints along the way to nudge you in the right direction. I found it quite challenging, yet exhilarating as my partner and I escaped with only 5 minutes to spare! I was predicting some arguments along the way, but we teamed up well and both brought things to the table that the other would not have thought of. The optimal group size to do this is between 2 and 4 people. If you are thinking of taking children, have at least one adult to help. Most of the rooms have about a 60% success rate, less for the harder ones; so don't despair if you don't succeed. It is invigorating, fun and rewarding and you will definitely want to go back and try a different one!